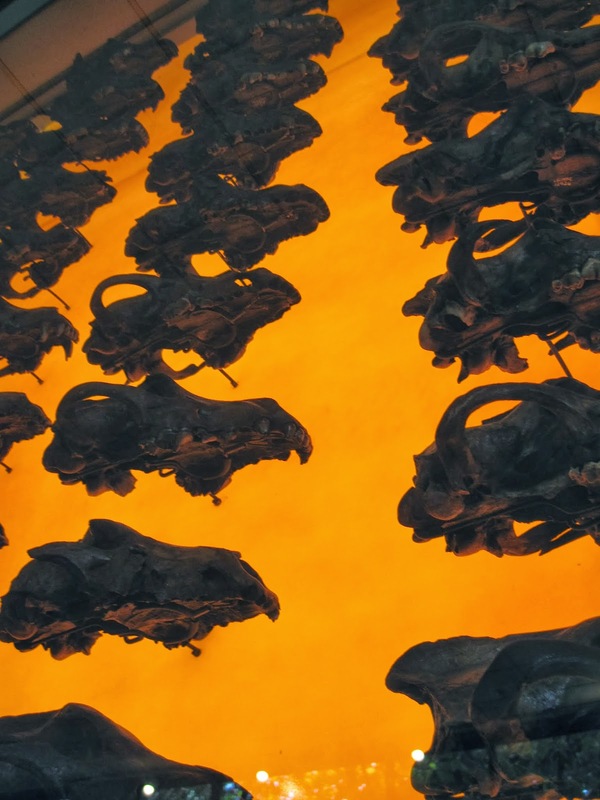 Next up in the post-SVP report: the La Brea Tar Pits! This is one of those classic localities that I’m sure is on many a palaeo must-see list. I didn’t get a chance to see this on the pre-conference field trip, but a couple of us from the UofA made time to head over before our flights home. Several of the excavations have viewing stations where you can watch palaeontologists and volunteers hard at work. 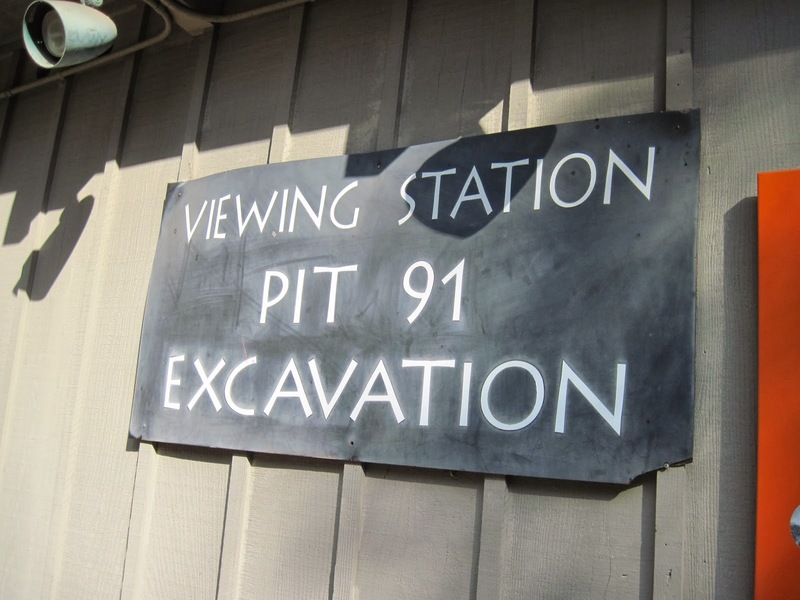 Pit 91 is the largest of the excavations, but digging is on hiatus while they work on another project. 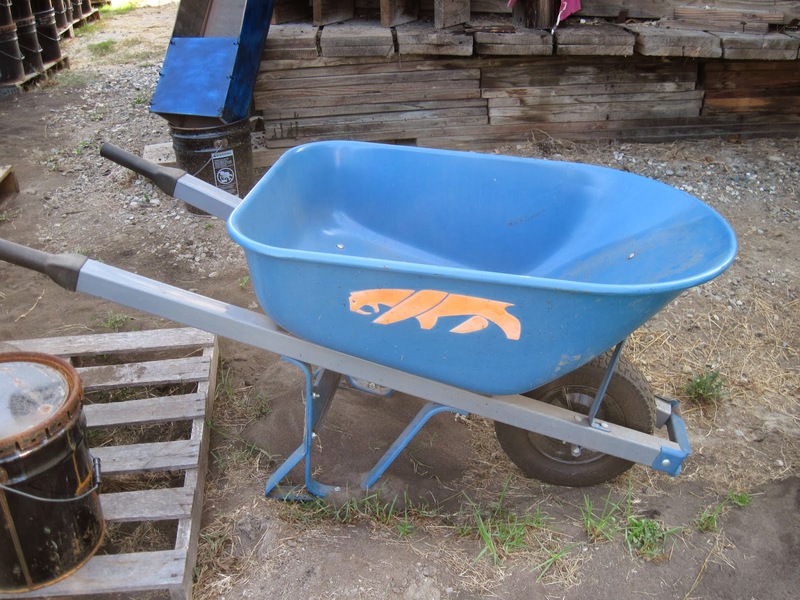 It is both so similar and so different compared to my experiences digging dinosaurs. 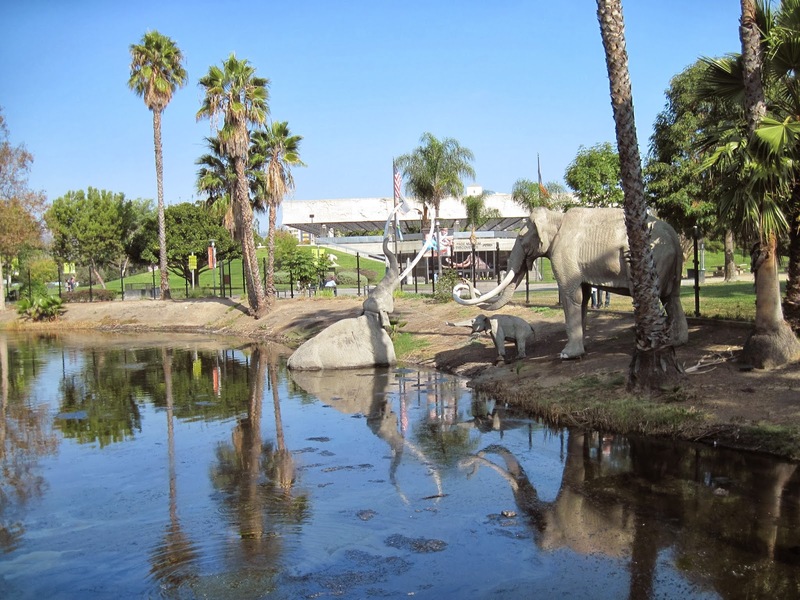 The tar pits, or tar seeps as I think they are more accurately called, are kind of a sandy, semi-consolidated sediment with Ice Age vertebrates and asphalt. 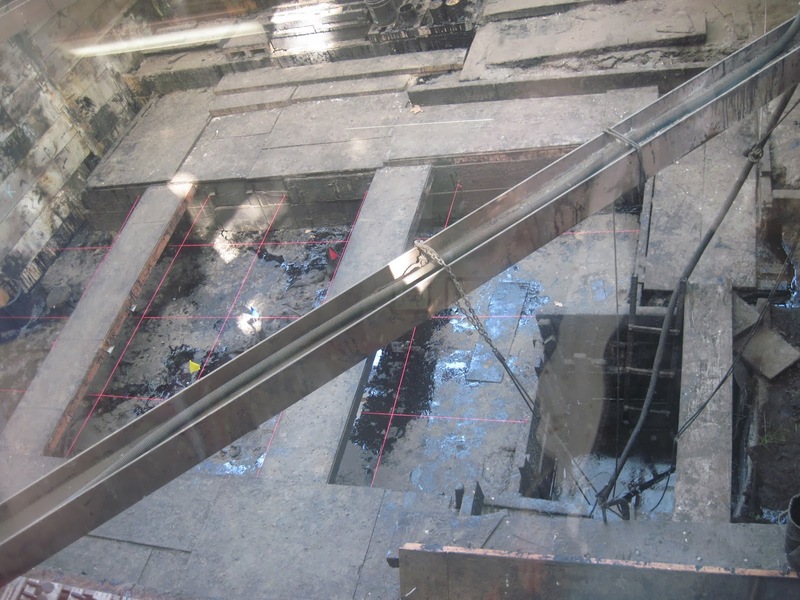 Excavators lie on the boards across the surface, and work in marked out grid squares. Here’s another shot of the quarry to give a sense of how deep they have gone. 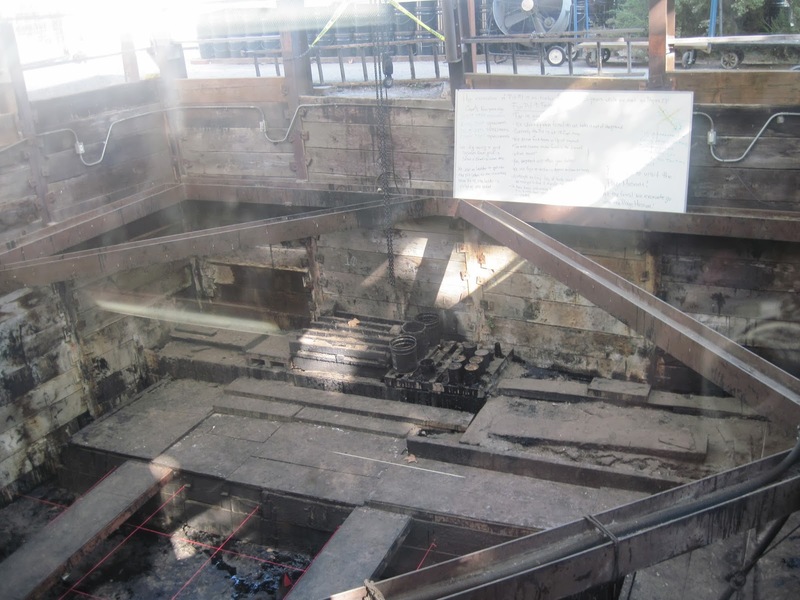 Pit 91 has been excavated almost continuously since the 1970s. Work halted at Pit 91 a few years ago for a new dig, called Project 21. A construction project (for a parking structure, I think) down the road encountered several tar seep deposits with fossils. Instead of holding up construction for years and years, the team at the Page Museum simply scooped up the entire seep deposit and brought it over to the park to work on. 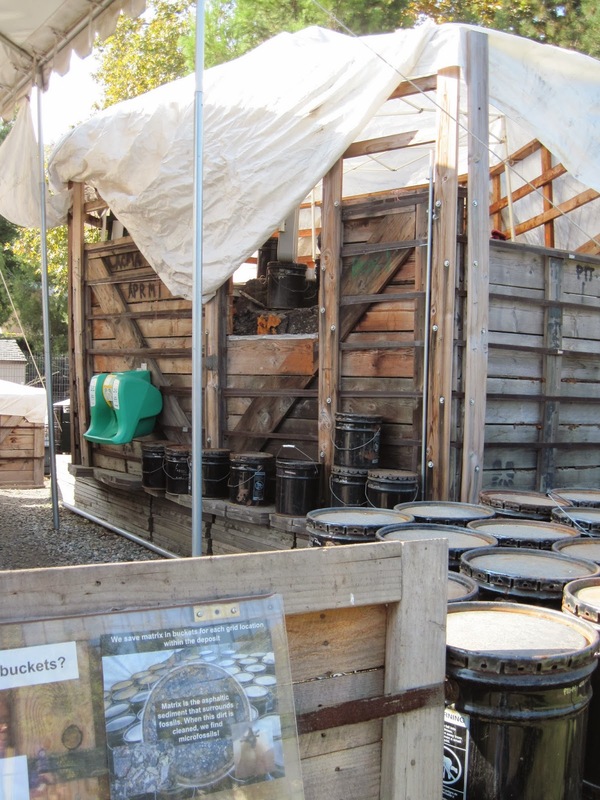 The result was 21 large crates which are ‘excavated’ above ground. Apparently this is much nicer for the diggers since it isn’t quite as wet and sticky, as the tar can drain out the bottom of the crates. 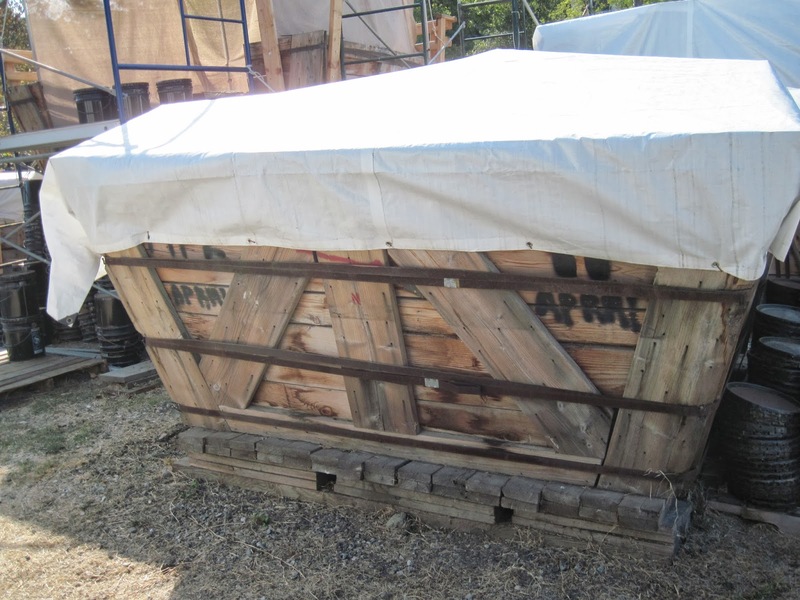 Another, slightly smaller crate waiting to be worked on. 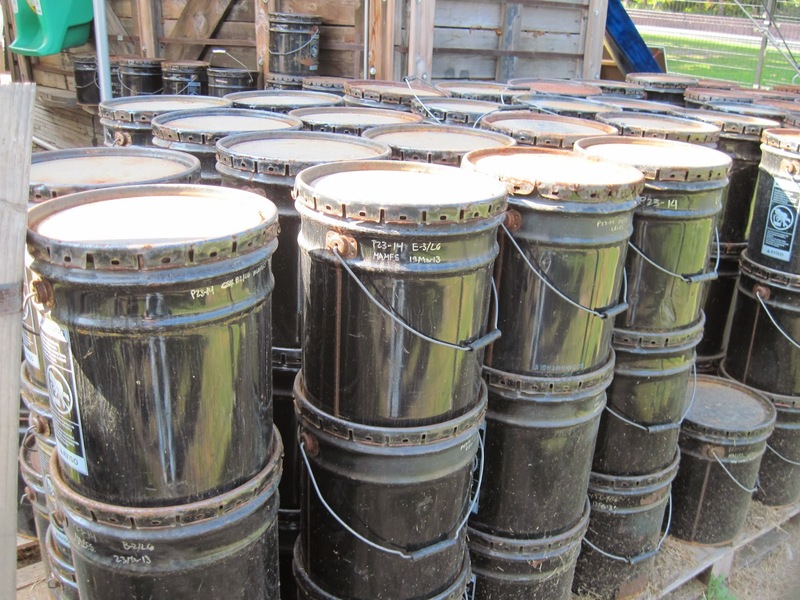 The sediment is saved in large barrels, so that technicians can look for microvertebrates – things like birds, snakes, lizards, small mammals, etc. Just outside the entrance to the museum is the largest of the pits, the Lake Pit. There wasn’t originally a pond here – rainwater has filled in an old pit mined for asphalt. The pit bubbles and gurgles away, which is quite amusing. Next time: the Page Museum! The Natural History Museum of LA County is excellent! I had a chance to visit it during the Society of Vertebrate Paleontology annual meeting in Los Angeles the week before last. 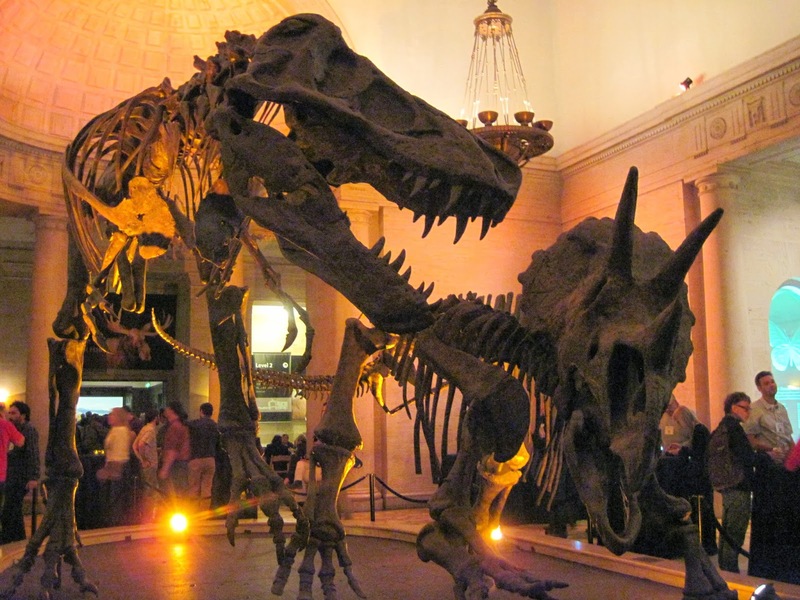 A great museum with some wonderful dinosaur exhibits. Here’s a sampling!